The first scratch hurts the most! So, prevent the pain and keep you car looking newer longer with one of the highest quality, optically clear, un-noticable, most durable barriers for your paint, paint protection film! A high gloss film applied to the vulnerable areas of your vehicle can save miles and miles of damage to the paint! 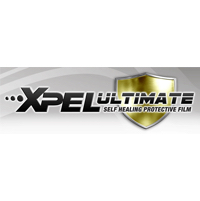 Both, Llumar and X-Pel name brands offer the most superior products on the market world wide and are the ultimate defense against road rash, rocks, pebbles, road debris, rock salt and sand. With best-in-class quality and clarity, these films offer superior durability to stand up against the hazards of the road. Adding paint protection film to your vehicle can help shield the areas of your vehicle that are most vulnerable to damage such as the hood, fenders, bumpers, door edges, handles and steps, side-view mirrors, rock panels or even the whole car. "Paint Protection Film won’t affect your painted finish - even if you decide to remove it; and it’s backed by the best warranties in the industry!" Eco-Tint's Paint Protection film provides the best option for keeping your vehicle in prime condition. With its "self-healing" characteristics, our film is certain to keep your cars paint looking in excellent condition for years to come. Our Paint Protection film is digitally cut precisely to factory specifications in order to ensure a perfect fit every time, and due to its revolutionary clear coat top-coat our film is guaranteed to retain its high luster and gloss without cracking, peeling, yellowing or bubbling. We offer any type of coverage you may be looking for, from basic to full coverage packages which include FULL hoods, fenders; the whole car if you wish! When you leave you will have the Manufacturer warranty along with our receipt to ensure your 100% covered for peeling, yellowing and bubbling for the duration of the warranty. To gain a better understanding of "coverage", call us and we will introduce you to our online database which will actually show you in detail the coverage and price menu. 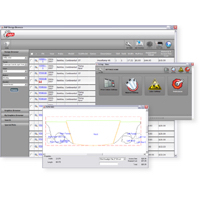 The database is always helpful, especially if you are not too familiar with what paint protection clear-bra is! We understand that this product may be new to you, that's why we offer "introductory" packages starting as low as $119.00.Eco-Tint offers the best selling brands in the world: Llumar and X-Pel Ultimate Paint Protection Films of which are of the best in the industry, world wide.. We will work hard to exceed your expectations when it comes to protecting your investment. Remember, an unprofessional installation is obvious... call us and we will help educate you in your decision. Eco-Tint Las Vegas has certified Professional Paint Protection installers at its facility at all times. See if paint protection film is available for your vehicle. Learn about the benefits of X-Pel Ultimate Paint Protection. 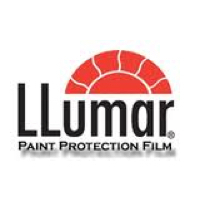 Take a look and see the benefits of Llumar paint protection films.